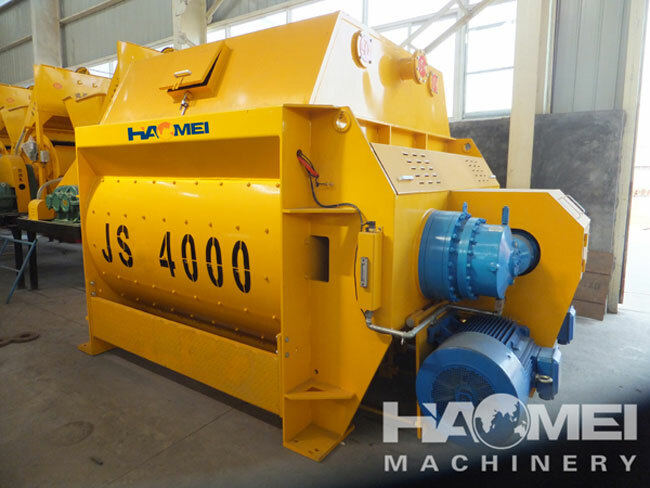 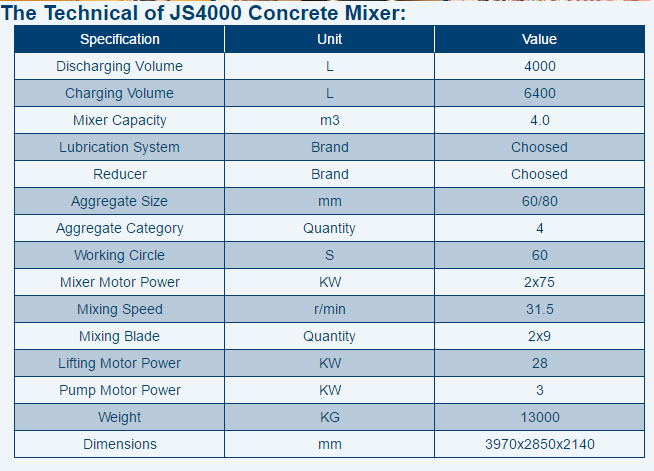 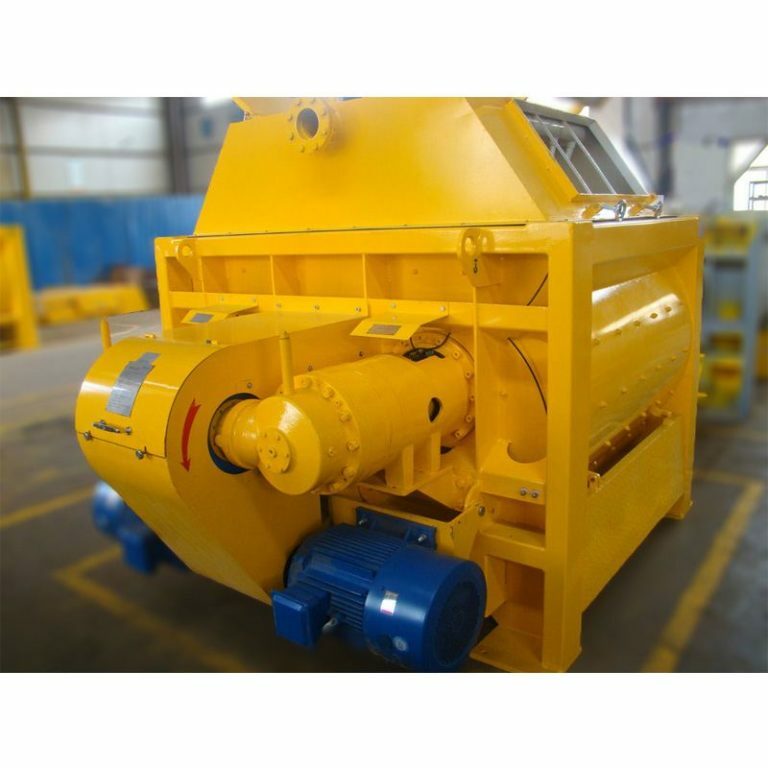 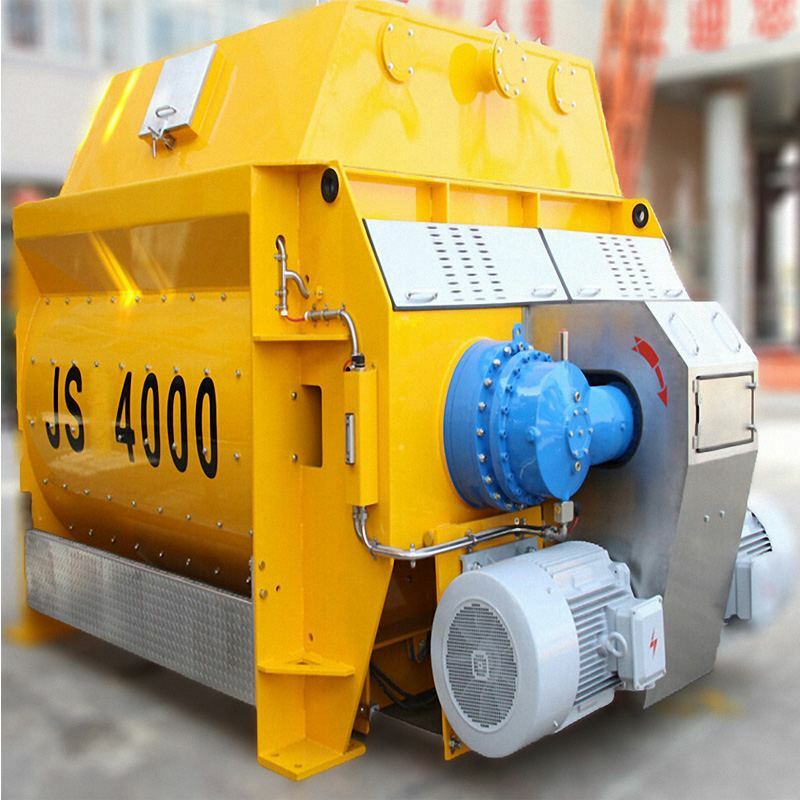 Manufacture and Introduce JS4000 Concrete Mixer. 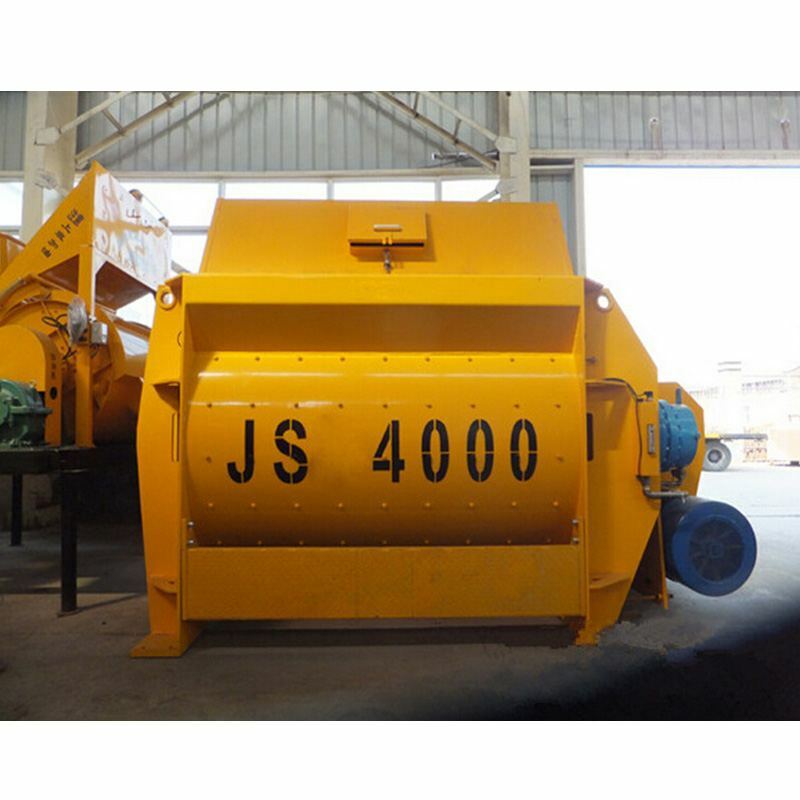 1, The main parts of mixing console adopt domestic and foreign advanced manufacturers, professional skills, assembler, tight assembly process, to ensure about the performance excellence of JS4000 concrete mixer. 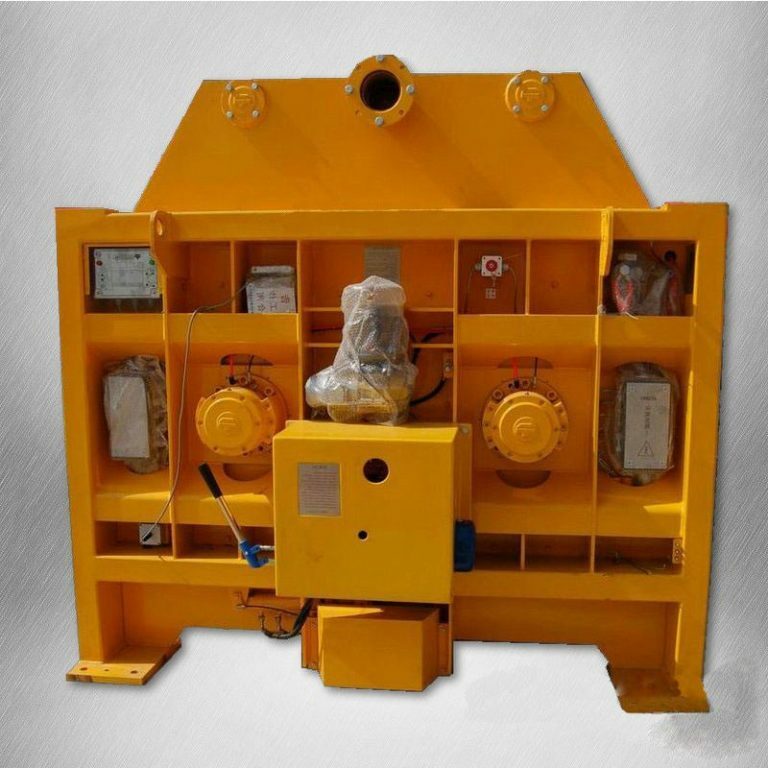 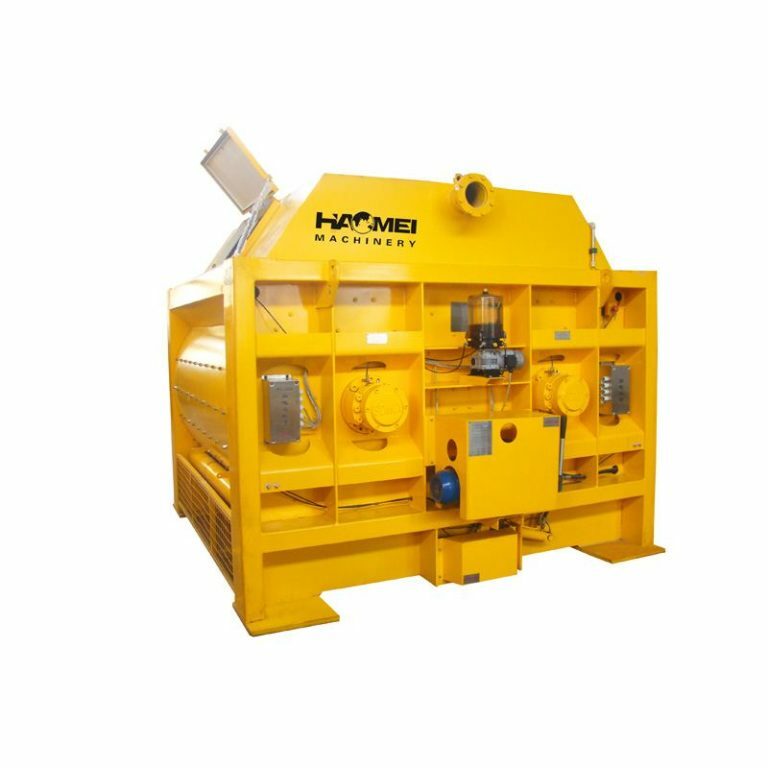 4, The use of advanced hydraulic system discharge opening and closing doors facilitate perfusion mixer, in the case of sudden power outages which can also be opened to use a manual pump discharge valve for emergency discharge. 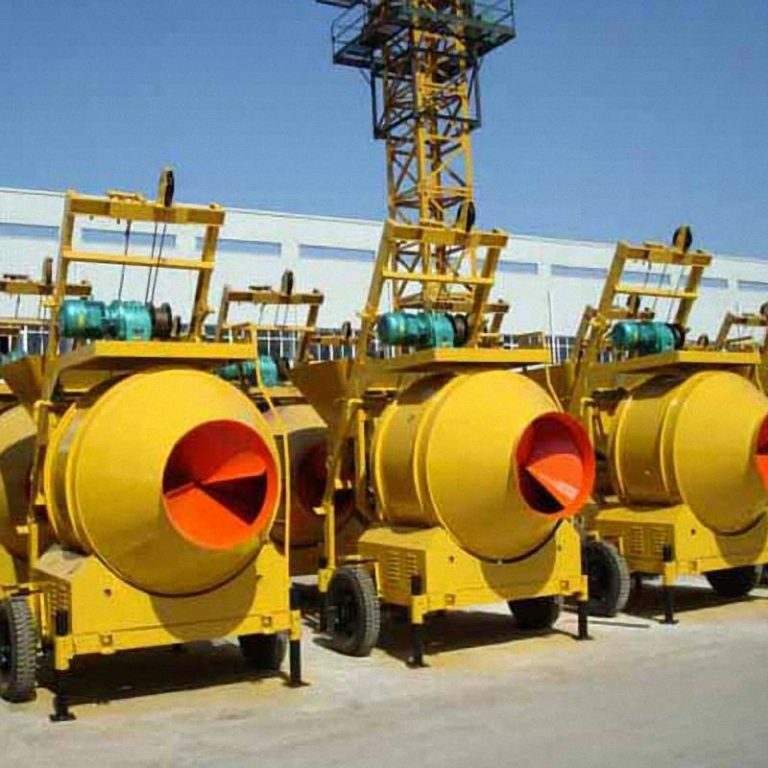 5, The hole and end of concrete mixer tank body were a fixture precision machining, to ensure concentricity stirring shaft ends and the stirring more evenly to keep longer life. 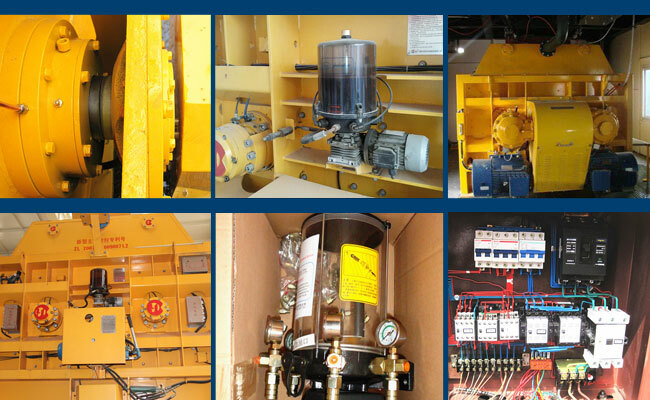 6, Automatic lubrication system, which uses four pumps to ensure a balanced oil pressure of each axis head, running smooth and improve the effectiveness and shaft seal life to achieve the least fuel consumption.